Leipziger Leuchten observes the organic light emitting diodes since years and the recent progress was the decisive factor to use the OLED panels from OSRAM as luminous elements for the particular design of a luminaire. 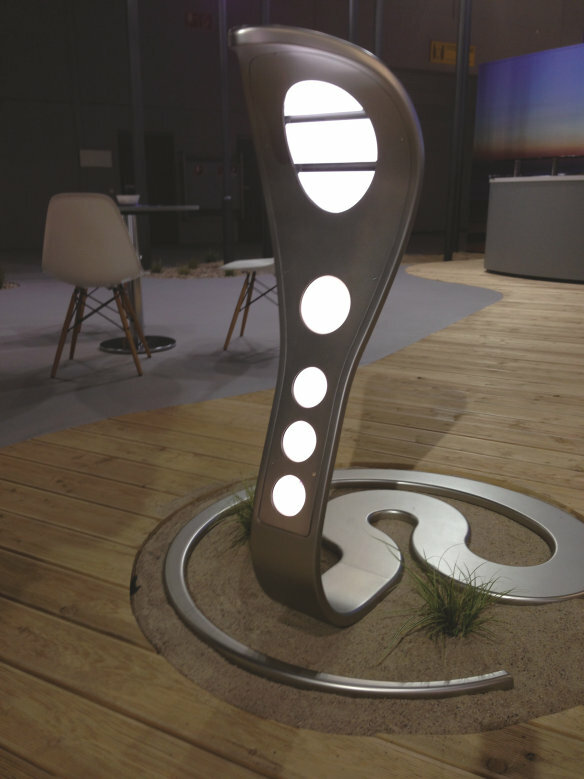 This design luminaire is inspired by a snake and was introduced under the name “Cobra” during the light + building fair in Frankfurt/Main in March 2014. 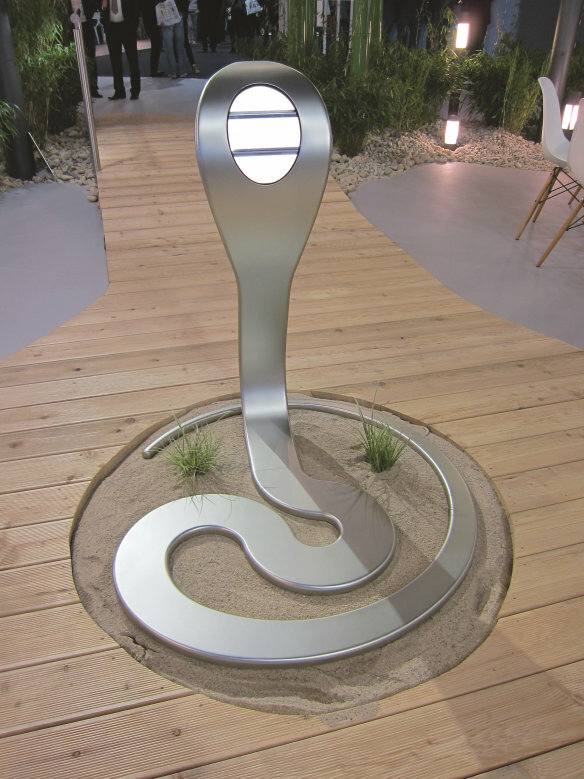 Leaving conventional paths was the initial goal when developing the cobra lamp. The fixture made of aluminum and glass was equipped with various OLED formats. The advantages of OLED technology were demonstrated in an impressive way. As an example, the thinness of the OLED panels with approximately 2 mm allowed a very flat design of the luminaire without being affected by heat sinks. Since the OLED generates very little heat, additional cooling is not necessary at all. In addition to the familiar round CDW-030 OLED, also transparent OLEDs were used. Those only slightly tinted, but beyond completely transparent OLED shine in both directions and when switched off, they allow a glance like through a window.